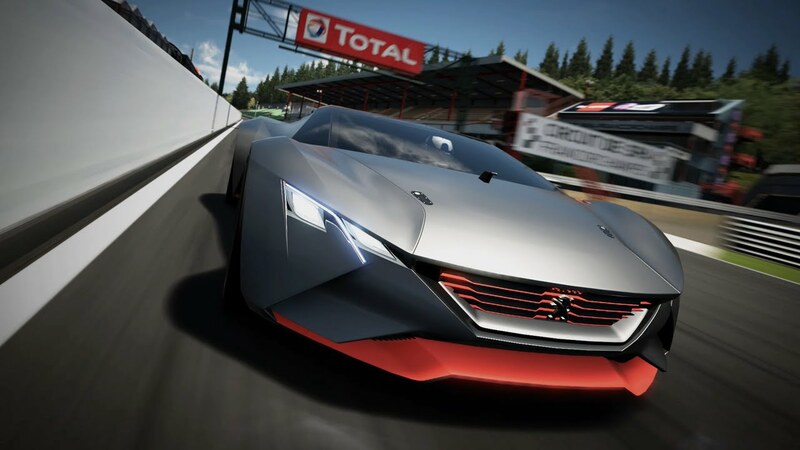 On May 6th (local time), PEUGEOT announced the PEUGEOT Vision Gran Turismo. This car is planned for distribution in a free update for the PlayStation®3 exclusive title Gran Turismo 6 due to be released in the near future. PEUGEOT designers teamed up with PEUGEOT SPORT engineers to craft an outstanding supercar that has all the hallmarks of a high-performance endurance racer, brought to life in glorious high definition in GT6™. At first glance, the PEUGEOT Vision Gran Turismo reveals a striking monolithic silhouette sculpted to sweep aside air resistance, standing just 104 cm tall, with the notable absence of nearly any aerodynamic features. The body design alone is enough to effectively stick the car to the road. The central V6 turbo 3.2L engine, just behind the driver, feeds its 875 bhp to the ground via six-speed manual transmission and an all-wheel-drive system comprising 22-inch alloys in the front and 23-inch counterparts in the back. This, coupled with the lightweight design—tipping the scales at just 875 kg!—and super-responsive steering makes this the ideal steed to saddle in taking up the GRAN TURISMO challenge. Not to mention the car's phenomenal acceleration, taking it from 0 to 100 kph in 1.73 seconds thanks to a power-to-weight ratio promising one horsepower for every kilo of curb weight... Deceleration is equally impressive, with four ventilated BREMBO carbon discs (380 mm in the front and 337 mm in the rear). Please look forward to this update for Gran Turismo 6, to be distributed free of charge very soon!